One of the main operators of airport refueling complexes (TZK) in Russia, owns a network of 19 TZK, organizes and provides jet fuel supply services for aircrafts at 29 airports – from Petropavlovsk-Kamchatsky to Pskov. 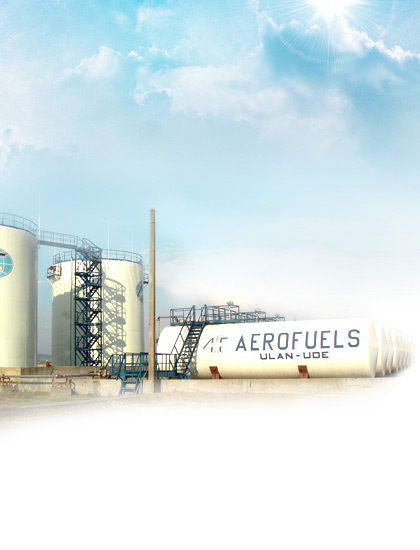 Abroad Aerofuels Group is engaged in organizing jet fuel supply services at over 1000 airports worldwide. The list of clients features about 110 Russian and 50 leading foreign air companies. Since 1999 Aerofuels Group has been actively involved in reconstruction and construction of new TZKs which will conform to the contemporary requirement of Russian and international organizations of civil aviation. Aerofuels Group has invested approximately 4,5 billion rubles in constructing TZKs in Russia. Aerofuels International — provides jet fuel supplies at more than 1000 airports around the world for Russian and international airlines. TZK Aerofuels — provides fuel uplifts at the airports of the Russian Federation.